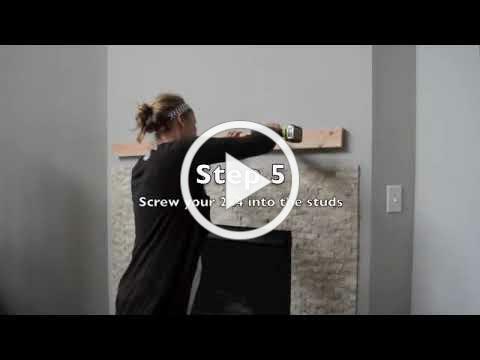 Adding a mantel is a simple way to renew the look of your fireplace and the surrounding room. Like our faux wood beams, our mantels' box designs and polyurethane materials makes them lightweight, versatile and easier to install than solid wood. The best part? Nobody can tell the difference. Ready to make your fireplace the neighborhood winner? Take a peek at five of our favorite projects below for ideas -- then see more in our mantel gallery. This homeowner transformed her dated family room into a striking open-plan space. After knocking down the separating wall, replacing the carpet with hardwood and resurfacing the fireplace, she finished the remodel by adding our Custom Timber beam to divide the room and a matching Timber mantel over the fireplace. Your mantel may be used to display a few knickknacks up top, but what about underneath? Corbels are decorative accessories that mimic the look of structural supports -- and will give your mantel a traditional, full-bodied look. A real wood mantel installed outdoors would need to be sealed or painted, as often as once a year to prevent exposure damage. Our faux mantels require no such maintenance. Their high-density, polyurethane material stands up on its own against rain, harsh temperatures and wood-eating insects. Beautiful mantel. Nobody can tell this is not natural wood. I used it for an outdoor fireplace, so far after a few months it's holding up well. The color and pattern give a very modern look to the fireplace. Sometimes a few simple changes can have the biggest impact. That was the case with Peter's fireplace remodel -- he painted the red brick and surrounding wood trim white and added our Beachwood mantel for the final touch. Transformation complete! This mantel was installed on a very uneven limestone rock fireplace. Basically, after removing the old mantel and setting the faux wood mantel on the existing supports I had gaps of almost an inch. Based on your design of a hollow center and and easy-to-cut material, I was able to scribe and cope both the top and bottom of the mantel to get a very tight professional looking install. I have no idea how I would have done this with a traditional solid wood beam! Great product!! Thanks! We love our faux wood mantel!! We ordered the 5' x 4" x 6" Custom Timber model and it fits perfectly between our fireplace and TV. It looks very realistic also. Installing the mantel was the easiest part of our whole project.